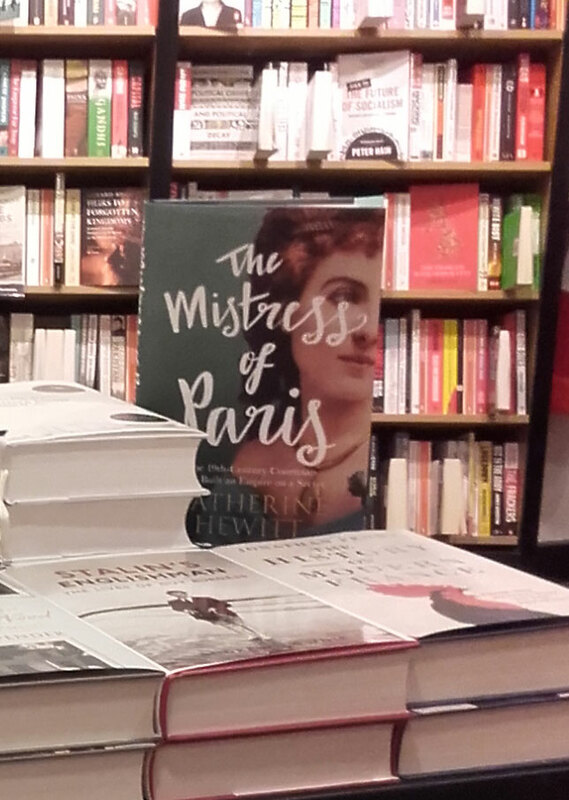 The Mistress of Paris was awarded the runner-up’s prize in the 2012 Biographers’ Club Tony Lothian competition. The biography traces the incredible tale of the bewitching courtesan, the Comtesse Valtesse de la Bigne, who clawed her way up from humble, impoverished origins to become one of the most sought-after and glamorous women in Paris. Her lovers included countless painters, writers and politicians, while her affairs with women caused a scandal in turn-of-the-century Paris. She was painted by Édouard Manet, she negotiated the country’s political affairs with Léon Gambetta, she wrote a novel and in turn inspired the novelist Émile Zola, who immortalised her in his scandalous fiction Nana (1880). With the wealth she acquired, she lived a luxurious lifestyle, and purchased fabulous mansions, carriages and an art collection which made her the envy of connoisseurs across Europe. Nothing could have predicted the trajectory Valtesse’s life would take. Born Louise Delabigne, she spent her childhood playing on the backstreets of one of the most squalid quarters of Paris. The little girl’s only respite from her miserable life with a promiscuous mother and an alcoholic stepfather, was the touching friendship which she developed with the landscape painter Camille Corot. But these fleeting moments of happiness were short-lived. The trauma of her first, brutal sexual encounter as a teenager lifted a veil to reveal an even darker side to the sparkling city and its pleasure-seeking residents. The experience steered Louise’s life into an inevitable vortex of alcohol and prostitution. When she finally fell in love with a man who seemed kind and good, only to have her heart broken and be left with two daughters, Louise made a radical decision. Henceforth, she would no longer be sweet little Louise. She wanted to be worshipped. She wanted riches. She would become a courtesan. In one breathtaking stroke, she severed contact with her family, and would rarely see her daughters. Louise became ‘Valtesse’, a contraction of the French ‘Votre Altesse’, or ‘Your Highness’. From now on, all those who addressed her would testify their subservience. Valtesse rose to reach the height of her fame during the 1870s. Beautiful, rich, fashionable, highly intelligent and fiercely determined, a talented writer, pianist and occasional painter, there seemed nothing Valtesse could not achieve. She read widely to educate herself and paid scrupulous attention to her appearance, capitalising on her flame-red hair and her piercing blue eyes. Few men remained immune to her charms. This woman entertained (and held sway over) some of the most renowned painters, writers and politicians in 19th-century France. She mentored the infamous courtesan Lianne de Pougy and her rumoured affairs with Napoleon III and the future Edward VII ensured the newspaper gossip columns were never short of material. This biography delves beneath the surface of the cool, sophisticated exterior Valtesse presented, to reveal a complex character with a vulnerable side. It exposes a woman who paradoxically sought the limelight while simultaneously seeking to remain enigmatic. This complex mind even thought out how she would be remembered after her death. She used her final hours to personally hand write to all those she knew and inform them that she had died. And she kept her audience guessing right to the end; why else would she have requested that she be buried between two men of whom no one, not even her closest friends, had ever heard? 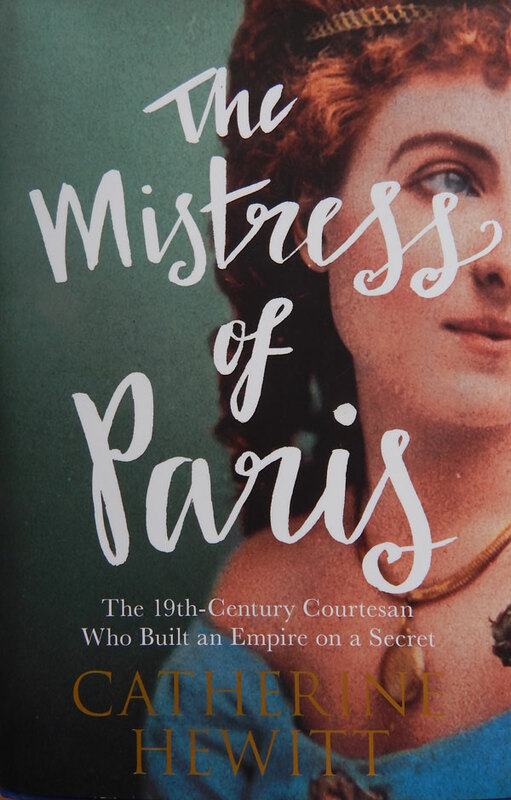 The Mistress of Paris is the story of the 19th century’s answer to the modern-day ‘It’ girl, of one of the most skilled self-publicists who worked tirelessly to fashion her own image, yet who ensured that her life remained shrouded in just enough mystery to keep her audience transfixed – and hungry for more. …Hewitt is a diligent researcher and her handsomely illustrated debut biography is crammed with period detail…she offers an intriguing insight into the precarious glamour of life as a 19th-century courtesan. ….this is an enthralling story, told with both conviction and sympathy. …the research is thorough, and the author has a very straight-forward writing style. Hewitt takes us through from rags to riches, birth to death, whilst reminding us of key historical events…I feel educated and appropriately introduced to the life of courtesans during 19th century Paris. Hewitt has opened my eyes to the excess of prostitution in the capital and the different levels of the trade a young women would need to ascend before attaining a respectable title. I found this phenomenon, which could be deemed as a career ladder or rite of passage for unprivileged women, absolutely fascinating and am thirsty for more. But most importantly, these descriptions expose the strength of Valtesse’s character. It feels good to read about women with astounding bravery- cue Freddie Mercury’s The Show Must Go On… I don’t want to give too much away, but a young girl who shuns her entire upbringing to scale the city’s restrictive social circles – and succeeds tremendously- I mean, when’s the movie coming out?… Hewitt guides us carefully through all the different people Valtesse has mingled with; celebrated writers, artists and politicians. I can assure you there will be many recognizable names and events the courtesan is linked to, some very sensational affairs. It feels as if the book is one big networking party as she moves from one notable name to the other. .. Hewitt writes about the courtesan with great certainty and admiration, as if she were a close acquaintance. She uncovers intimate details, like sexuality and its fluidity- not only of Valtesse but her peers, with confidence. .. Great read. Her lovers included painters and politicians, and she caused plenty of scandal that will have you curled up with this book for hours. this proves to be both a full and intriguing biography, and a fascinating portrait of the time period… The Mistress of Paris is not just a biography of a fascinating woman, but an in depth look at the France of the 19th century, and of the hugely different levels of society in place, from desperate poverty to lavish wealth… A skilfully woven tapestry of a fascinating life, this is a hugely interesting and surprisingly involving read – many thanks to the publishers for the copy. it is incredibly readable. The story itself is innately fascinating…Hewitt has a great deal of knowledge on the time period of 19th-century Paris…much to enjoy in this engaging account of Parisian culture. a fascinating biography …Full of detail and astute observation, the book is a remarkable tale of a woman who never stopped aiming high, but whose personal life was shrouded in mystery. Through incisive enquiry and astute observation, Catherine Hewitt traces the courtesan’s flight from squalor to splendour, her prose sparkling in the light of her luminous subject. …Catherine Hewitt’s well-researched and annotated biography…she has written a truly handsome boudoir book. It was the 19th century, but the French courtesan Valtesse played the press like a Kardashian. A thoroughly researched and clearly written account of a determined and talented woman and of an era. Hewitt has created an engaging and richly narrated biography exploring not only this figure’s life but also the inner workings of Paris at the time Valtesse’s star began to rise. Reading like a novel with enticing cliff-hangers, Hewitt’s work marries the life of Valtesse with the fascinating history of Paris, imbuing both with vivacity…An entertaining read, this book will likely appeal to history buffs as well as those who enjoy a well-written biography. If you haven’t read ‘Nana’ – or, even more so, if you have and are hungering for a less censorious, more deeply researched and respectful biography of the 19th-century French courtesan on whom that novel by Zola is partly based – this book is for you…Valtesse would be totally at home in our self-branding society…Her consumerism, her profession, her politics…and the sheer size of her wealth, make her, alas, a woman for our time. © 2019 Catherine Hewitt. All Rights Reserved.